Canaan Bible Chapel is located at Lake Ariel. 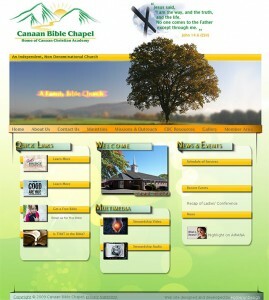 The site has been developed from scratch, based on client’s mock-up design. All design is original, although client did provide a detailed description of required features. Lot of effort has been put into simplyfying the navigation through almost 40 pages of content. The site, although fairly static, does use some cool features to bring it to live, such as flv video player, XML MP3 audio player and Flash banner. 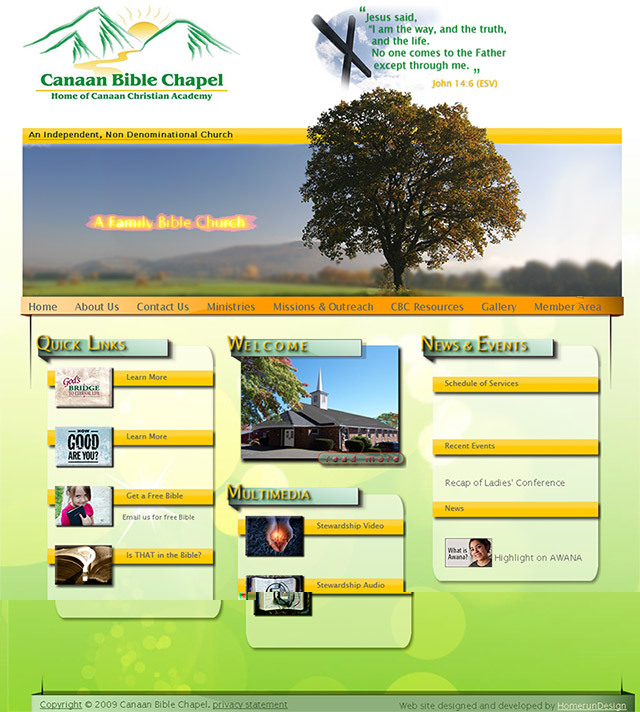 Client did not need a full featured CMS, so the site has been hooked to Cushy CMS to allow updates of a few pages. Everything has been coded using PHP include statements for easy updates. Also, the site features automated background changes (based on a season) and an automated PHP photo gallery. NOTE: The site stayed live for over 3 years, but in 2012, client decided to outsource all web services to an agency. Thanks again for everything. I’ve been hearing some horror stories about problems people had or are having getting a website done and I can’t believe how competent and accommodating you are. Thanks so much.